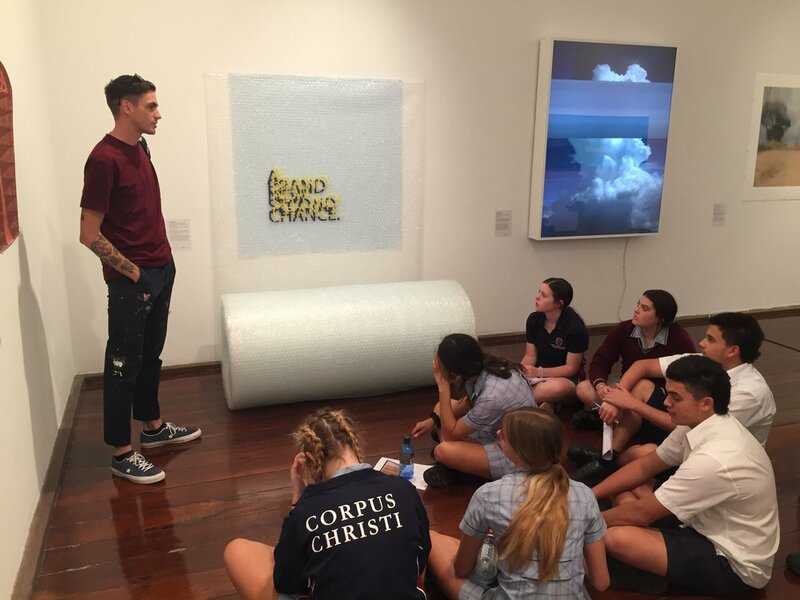 On Monday 29 October Ms Pannell’s Year 10 Design Fundamentals Class visited the Fremantle Arts Centre. The excursion was to see the 2018 Fremantle Print Award. After a quick lunch in the grounds of the centre the class split in to two small groups with the intent to examine the prints and complete an accompanying worksheet. The groups were lucky enough to have one of the exhibiting artist Sam Bloor give an artist talk about his work. Sam will also be joining Corpus in early November to continue his talk and run a print workshop.